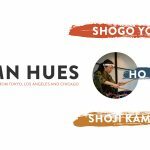 We are a collective of musicians with a fresh take on the art of Japanese drumming. 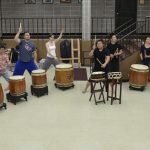 We push the envelope through collaborations with other taiko groups, musicians, and culturally-focused performance artists while staying grounded in the rich tradition of kumi-daiko. 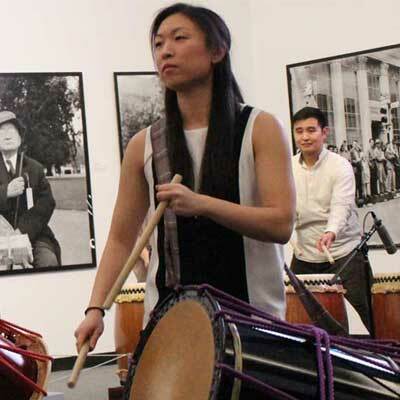 Through our music we blend the culture of Japanese-American taiko with influences that celebrate the diversity of our ensemble. Our mission is to spread joy through each and every drumbeat by creating music that is true to who we are. 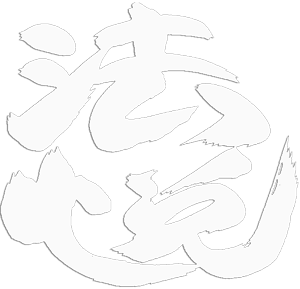 Taiko requires discipline of both mind and body. Beyond an emphasis on musicality, we dedicate many hours of training to the aspects of movement and visual presence. We perform at festivals, schools, corporate events and even weddings. We self-produce independent concerts. 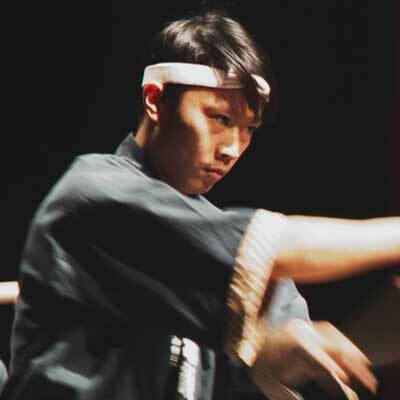 Our workshops range from Taiko 101 to intense apprenticeships. We have also conducted team-building sessions for business clients, utilizing elements of taiko philosophy and discipline. We love to perform at festivals! The atmosphere is always fun and we get the opportunity to mingle with audience members. 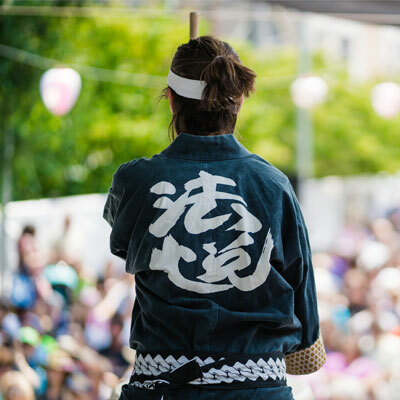 Among our recent festival appearances are Midwest Buddhist Temple’s Ginza Holiday, Anderson Japanese Garden’s Summer Festival, and even a few informal street fairs. 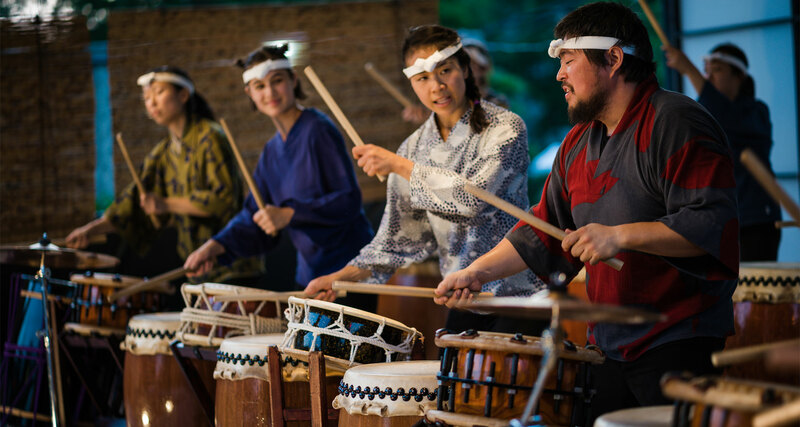 Ho Etsu has performed at numerous private events such as banquets, conferences, and even weddings. Drop us a line if you’d like to chat about your upcoming event. We’re often asked how one can participate in taiko drumming. Several times throughout the year we hold workshops where participants can get an introduction to taiko and even try their hand at playing. Depending on demand, we also run workshops for intermediate players. Please check our calendar to see when the next workshop is scheduled, or contact us to learn more about the topics covered. We can also bring our drums to your school or event to provide a personal, on-site workshop experience. 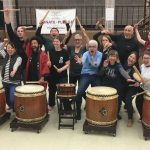 We have created workshops for corporate clients that use elements of taiko training to offer a unique team-building experience. Demonstrations, exercises, musical composition and playing are all part of these events. 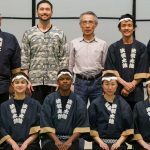 Ho Etsu pushes its boundaries by collaborating with musicians and artists from all disciplines, resulting in one-of-a-kind artistic expression. 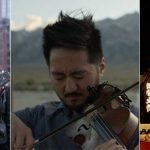 In the last five years, we have collaborated with Irish folk musicians, classical harpists, visual performance artists, world music ensembles, as well as other taiko groups. We are always looking for new opportunities to stretch our artistic boundaries. Our performing members come from various backgrounds. 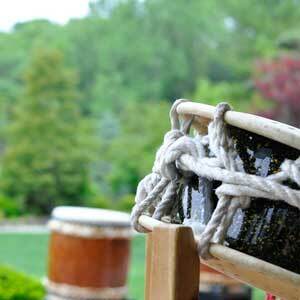 While some have played taiko for many years, most have learned the art only recently. 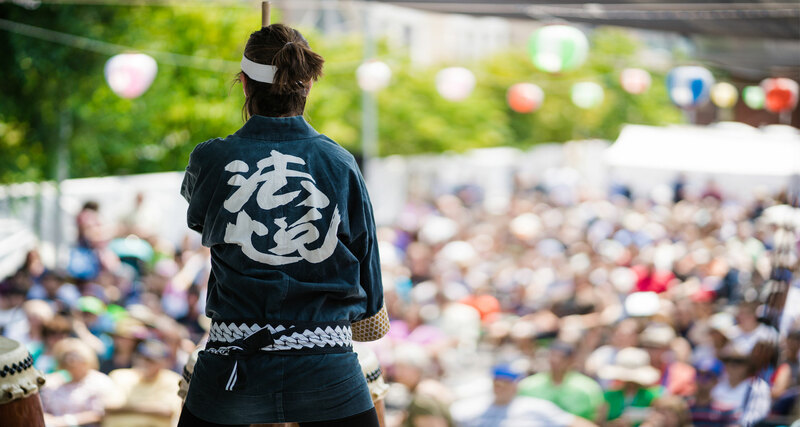 What we share is a passion for taiko and a dedication to perfecting our craft. We take on new members through our advanced workshops and classes, followed by a period of apprenticeship. 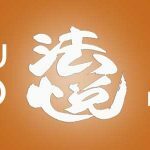 If you’re interested in more information about joining Ho Etsu, see our membership page for details about our process and philosophy. In 2015, Ho Etsu became a 501(c)(3) Not-for-Profit organization, making it possible to seek grants (government and corporate) to help us achieve our mission. In addition, our Not-for-Profit status helps us raise funds from private donors to support our group’s continued musical development. 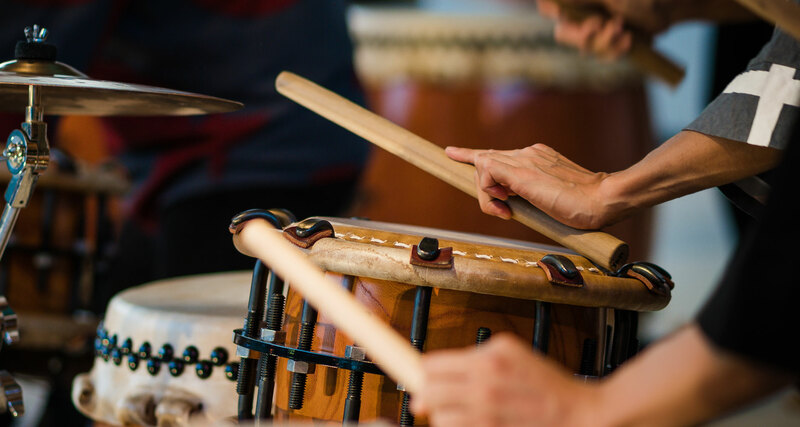 Your donations help us train with other taiko and musical professionals, repair and replace our instruments, and develop new workshops, seminars and concerts to spread the joy of taiko around the city and across the region. 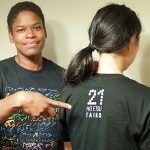 If you would like to make a donation to Ho Etsu, use the link below. All donations are tax-deductible and will receive a written acknowledgement.